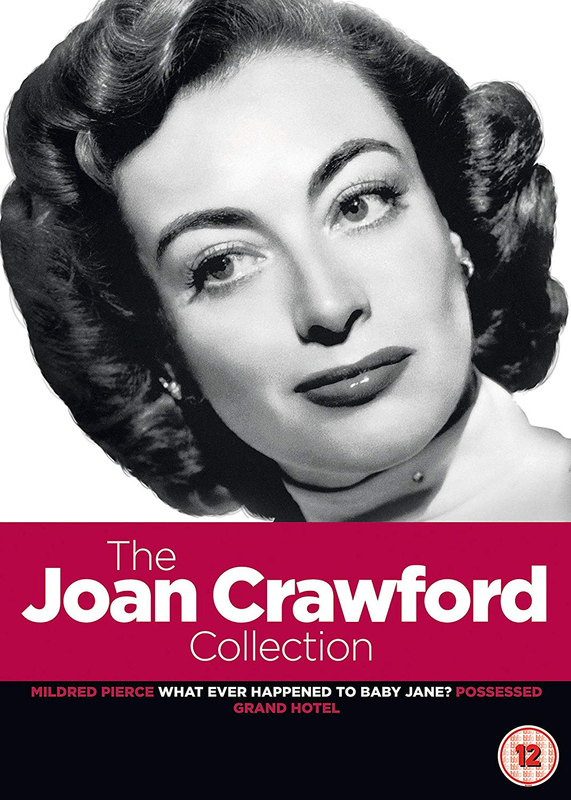 Collection of four classic features starring Joan Crawford. Mildred Pierce (1945) follows the eponymous struggling mother and wife whose husband Bert (Bruce Bennett) seeks affection in the arms of another. When the couple decide to separate, Mildred (Crawford) is left to raise their daughters alone. As the money begins to dry up, Mildred decides to open up a restaurant and with the help and advice of Wally Fay (Jack Carson), she finds a suitable property and begins her transformation. Whatever Happened to Baby Jane? (1962) follows Jane Hudson (Bette Davis) who found fame as child star 'Baby Jane' and her sister Blanche (Crawford) who eclipsed her when the latter became a Hollywood glamour girl in the 1930s. Blanche's career was brought to an abrupt end by an accident for which Jane was seemingly responsible. Now the two ageing sisters live together in their Hollywood mansion, attended by their maid, Elvira (Maidie Norman). When Jane discovers that Blanche is planning to sell their home and have her put away, she begins a campaign of terror against her wheelchair-bound sibling. In Possessed (1947), Louise Howell (Crawford) collapses in an L.A. diner and is admitted to a psychiatric ward. From her hospital bed she recalls the events that led not only to her breakdown, but also to a romantic obsession and murder. Finally, Grand Hotel (1932) focuses on the intertwining lives of the inhabitants of a Berlin hotel. A lonely ballerina contemplates suicide, a ruthless industrialist makes a last ditch attempt to save his company, a fallen aristocrat resorts to thievery, an ambitious young woman is about to trade her virtue for success and a terminally-ill clerk has a final fling. All five residents are unaware that their lives are about to change dramatically.